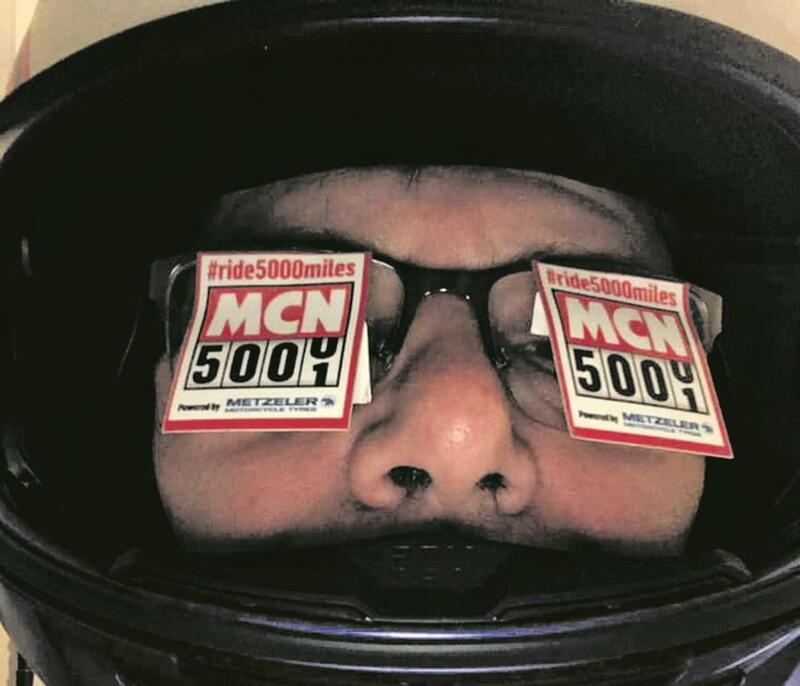 We’ve been overwhelmed with requests for #ride5000miles stickers and it’s fantastic that so many of you want to show you’re part of this fun, friendly and ever-growing community. A beaming Trish Waugh was quick to add stickers to her Honda CBF600. "They stand out, so #ride5000milers, can identify each other when we are out and about." A heavily decorated topbox is a great way to make sure Dave Loubser’s Suzuki V-Strom gets seen in traffic and an #R5K sticker takes pride of place. "For me, it’s down to identification of like-minded individuals when we ride out. 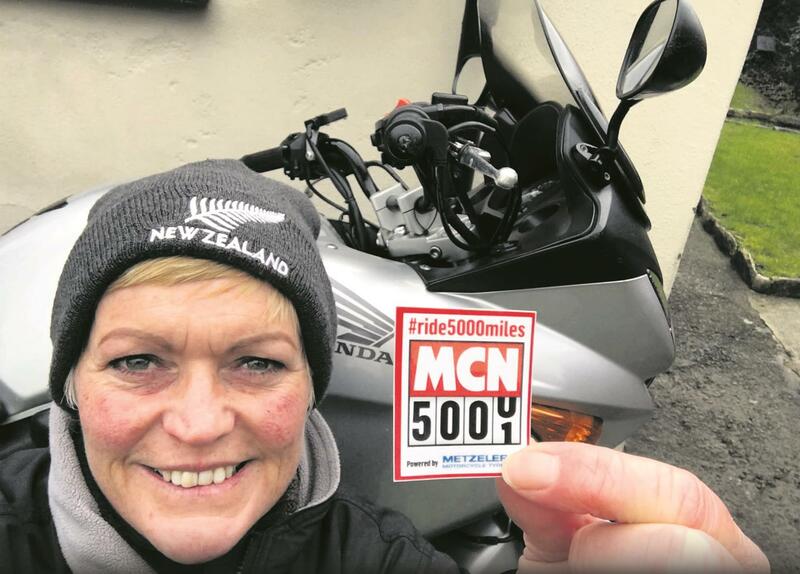 I usually like to ride alone and it’s great to identify other #ride5000miles members," he said. "Bikers by are pretty friendly and I usually end up talking to someone; the stickers certainly help." Sally Weighill loves to spread the word about #R5K and says: "The stickers are important to me, people ask what it’s about and encourages others to join this fab group. It makes it easy to spot other #R5K members and meet up." "I love it because I’m part of a group of strangers, who are instantly friends on seeing the sticker," says Dave Jackson who proudly shows his allegiance to the group, with his sticker-clad Shark lid. "We all have mates who are bikers but not many have the sticker. I’m a regular at Loomies café and on a good day there’ll be 300 bikes but only two have stickers." While Mark Christian’s unorthodox sticker application may be unique (see above), his sentiment remains the same as other group members. "My stickers show that I want to share my experience and knowledge, not just that I’ve ridden 5000 smiles," Mark says. "They’re an ice-breaker." Grab your stickers from the MCN stand at the Carole Nash MCN London Show at Excel. It’s on from February 15-17. See www. mcnmotorcycleshow. com. Or send an SAE to: Ali Silcox, MCN, Media House, Peterborough PE2 6EA. #Ride5000miles 2018 is all go!